State what you are - blessed! 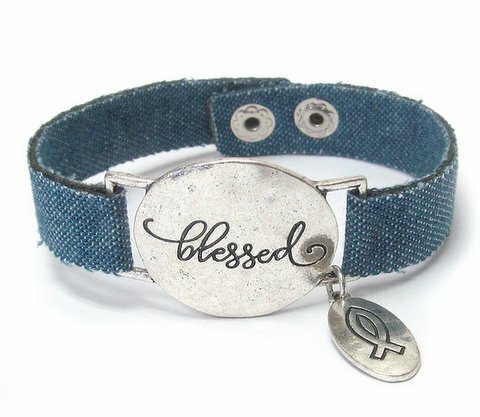 Super-cute blue jean bracelet with snap closure. Small Christian Fish charm attached.